This three-year degree covers the core subjects of Aeronautics and Astronautics. It is ideal if you wish to complete your studies in three years. The first two years of the course have identical content to that of the MEng course. Students can also take the Industrial Placement Year, providing the opportunity for a year-long placement with an engineering-based organisation. During this degree course in Aeronautics and Astronautics, you will gain a solid foundation in aerospace engineering such as aerodynamics, astronautics and propulsion along with a wider appreciation of the economic, legal and environmental issues associated with aircraft operations and aircraft performance. In your third year, you can choose to specialise through a wide selection of advanced aerospace modules and will also carry out an individual project. 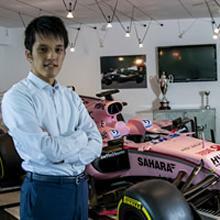 I’m determined to be an engineer in Formula 1, I did my research and found Southampton is recognised as one of the best in aerodynamics – a vital element in making cars go faster. The first year will provide you with a solid foundation in engineering science with a focus on aerospace. Core module content also includes the economic, legal and environmental issues associated with aircraft operations and basic aircraft performance. In your second year, there is increasing focus on aerospace engineering topics such as aerodynamics, astronautics and propulsion. You will also take a practical one-week course in flight testing at Southampton International Airport, where experiments are performed on board a Jetstream aircraft. In your third year, you can choose to specialise through a wide selection of advanced aerospace modules. You will also carry out an individual project, as well as a group aircraft design project. You can also take the Industrial Placement Year, which is an additional year-long module that allows you to apply for a placement with an engineering-based organisation. The successful placement will be recognised on your Degree Certificate. We will be undertaking a review for this programme in time for the start of the 2019/20 academic year and may as a result make changes to the 2019/20 programme specification and programme structure. A revised programme specification will be available on this site by April 2019. 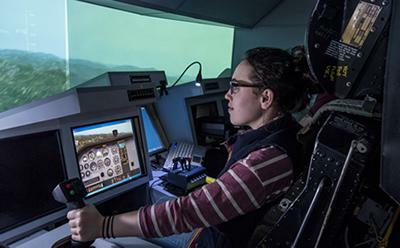 All undergraduate applications for the BEng degree in Aeronautics and Astronautics should be made through the Universities and Colleges Admissions Service (UCAS). 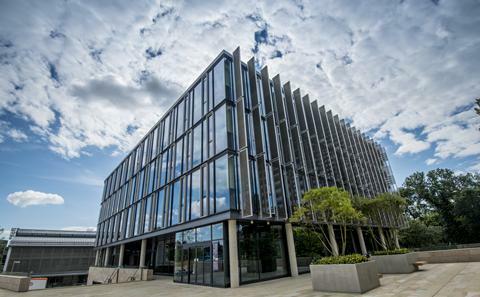 Find out how to apply and get further details about UCAS' website, phone and contact details. Specific application deadlines are available on the UCAS website. Visit the Industrial Placement Year webpage to find the placement year-specific UCAS codes. As part of the normal requirements of the Engineering Council, the Institution of Mechanical Engineers, and the Royal Aeronautical Society, we are applying to renew the accreditation of our undergraduate programmes for students entering Engineering in October 2019. We are again requesting accreditation for the purposes of fully meeting the academic requirement for registration as an Incorporated Engineer and partly meeting the academic requirement for registration as a Chartered Engineer. Our accreditation visits took place in January 2019 and we await confirmation of the outcome. These web pages will be updated when we have received confirmation of reaccreditation. You may also be interested in our Aerospace Electronic Engineering courses. Our annual Design Show celebrates the innovative and ambitious design projects produced by our undergraduate students during the academic year. Each year, our third-year students take part in the annual poster conference, where they present their Individual Project work to markers. If your first language is not English, we need to ensure that your listening, written and spoken English skills would enable you to enjoy the full benefit of your studies. For entry onto our programmes, you will need an International English Language Testing System (IELTS) score of 6.5 or an equivalent qualification approved by the University. 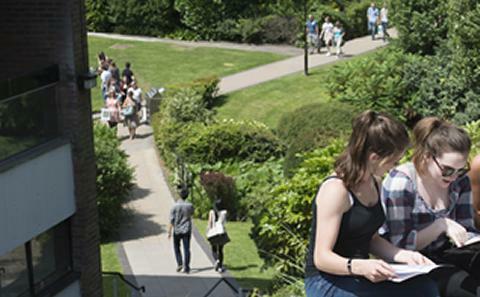 The University of Southampton is committed to widening participation and ensuring that all students with the potential to succeed, regardless of their background, are encouraged to apply to study with us. The additional information gained through contextual data supports our admissions teams to recognise a student’s potential to succeed in the context of their background and experience. Students who are recognised in this way will be made an offer which is lower than the typical offer for that programme. A typical contextual offer is AAB (AA in Mathematics and Physics with a pass in the Physics practical) from three A levels or an equivalent standard in other qualifications approved by the University. While the average level entry onto our degree courses is among the highest in the UK, we always look carefully at each individual application. In addition to your examination grades, we also take into account your personal statement and references. These give us an indication of your personal attributes and your enthusiasm for your chosen area of study. All individuals are selected and treated on their relative merits and abilities in line with the University’s Equal Opportunities Policy. Disabled applicants will be treated according to the same procedures as any other applicant with the added involvement of the Disability Office to assess their needs. The course may require adaptation for students with disabilities (e.g. hearing impairment, visual impairment, mobility difficulties, dyslexia), particularly the practical laboratory sessions, and we will attempt to accommodate students wherever possible. On the BEng degree in Aeronautics and Astronautics you will study a number of core subjects during the first two years. These provide sound preparation for the final part of the degree. You will concentrate on the fundamentals of engineering and gain the skills and understanding required to use information technology in an engineering context. In Year 3, you will have the opportunity to specialise or retain a broad-based study path through a wide selection of subject modules. You will also undertake an individual project that usually takes the form of a design or research exercise, and involves the production of a formal report. A group aircraft design exercise is completed in Year 3. Students are expected to take an exciting one-week practical course in Flight Testing following Semester 2 examinations. The course is usually arranged for candidates in their second year and is held at Southampton International Airport. The fees for this course are covered by the University, in normal circumstances. Visits to industry and research establishments are organised for Part I and Part II candidates in the summer term. Candidates are required to attend the Part I Workshop Training Course unless exemption is given by the School. Candidates are required to attend the Part II course in Library Search Techniques. This is normally held after the Semester 2 examinations. Assignments set in this course will be formally assessed as part of their examination requirements. 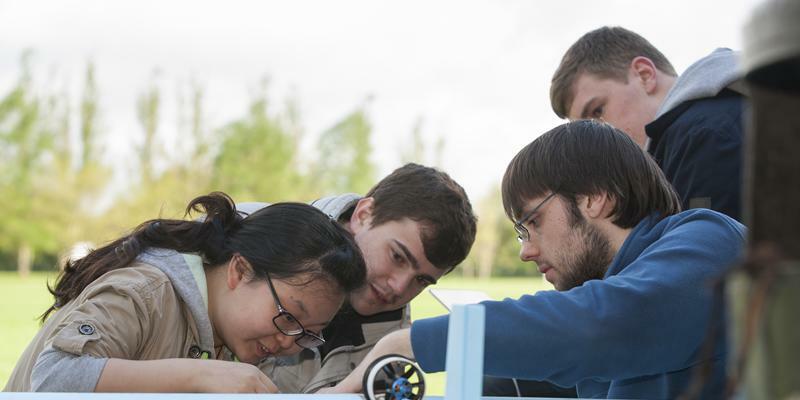 The first year provides a background in engineering science, emphasising aerospace aspects. One example is mechanics of flight, involving the performance of an aircraft acted upon by aerodynamic, thrust and gravitational forces. The second year covers the main aerospace engineering subjects. Towards the end of this year you will take a short course in flight testing, in which experiments are performed on board a Jetstream aircraft. A total of 120 credits across two semesters. 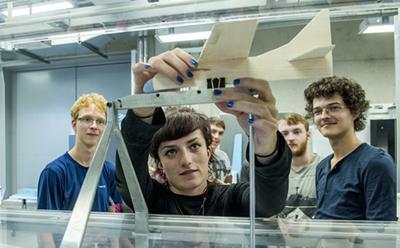 In the third (final) year the course includes an individual project, and allows students to undertake some of our specialist modules in aerodynamics, astronautics, materials, etc. It does however offer a more restricted choice of options than the MEng programmes, and does not include a Group Design Project. Students can choose a further 30 credits to be undertaken between Semester 1 and Semester 2 from our wide range of specialist modules. The modules below are typical optional modules. Please refer to the Aeronautics and Astronautics Programme Specifications for a comprehensive list of available modules. Equipment Approved calculators - Candidates may use calculators in the examination room only as specified by the University and as permitted by the rubric of individual examination papers. The University approved models are Casio FX-570 and Casio FX-85GT Plus. These may be purchased from any source and no longer need to carry the University logo. Printing and copying In some cases, coursework and/or projects may be submitted electronically. Where it is not possible to submit electronically students will be liable for printing costs, which are detailed in the individual module profile. Students are responsible for the printing costs of their poster for the Poster Presentation Day. This may range from approximately £5 - £20. Recent graduates have gone on to work at organisations including Airbus, DSTL, Dyson, European Space Agency, Jaguar Land Rover, Rolls-Royce, Surrey Satellite Technology, and Formula One teams, as well as going into postgraduate research. We are also a designated university for the Defence Technical Undergraduate Scheme (DTUS). A dedicated Employment Officer will be on hand to help you build your skills profile and point you in the right direction. We also have connections with local, national and international employers as well as the University Careers and Employability Service. At Southampton, our students form knowledge and understanding through a combination of lectures, tutorials, classes, laboratory experiments, coursework and individual and group projects. You will broaden your formal learning by becoming an active student member of a professional institution and our student Engineering Society, SUES. We will also teach you the transferable skills to present written and oral presentations. Practical application is integral to our courses, providing students with hands-on engineering experience in our world-class facilities. You will attend site visits to experience engineering in practice, put your theoretical knowledge to the test in our laboratories and undertake project work to develop your management, communication and team working skills. Your analytical and problem solving skills will be developed through regular problem sheets, individual and small group exercises. Design projects in each year offer the opportunity for you to develop unique engineering solutions. Visit the Design Show blog to see examples of our students’ design work. First-year students also take part in a two-day intensive engineering skills training course offsite, learning practical engineering workshop skills. Every student on our BEng Aeronautics and Astronautics degree course is assigned a personal tutor from the start of their degree, in addition to a course tutor.